From salads and soups to stir-fried dishes and curries, kaffir lime leaves are an essential ingredient for the Thai cuisine. 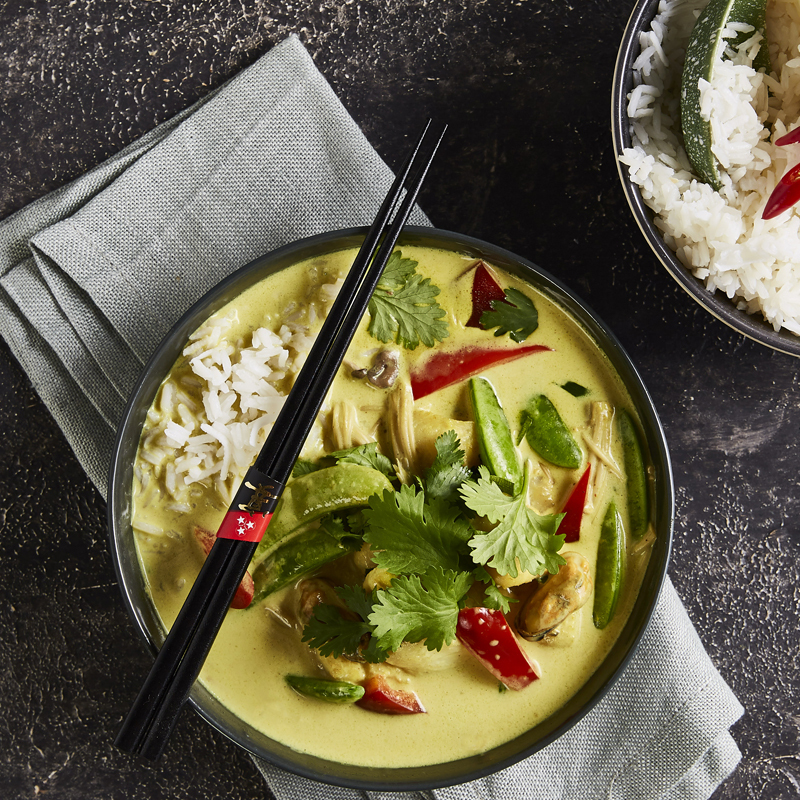 With their distinctive lime-lemon aroma and flavour they give Thai dishes the special lemony essence they need. To make the hot butter sauce, melt the butter in a small pot on medium heat. Add ginger, curry paste, sugar, soy sauce, lime juice and zest. Allow to boil up. Meanwhile place the kaffir lime leaves in a solid steam tray and add trout fillets with the fish skin on the bottom side. Cook with FullSteam at 80˚C for four minutes on shelf position 2. Turn off the oven and allow another five minutes subsequent cooking. Take off the skin and place the fish on pre-heated plates. Add a few drops of the hot butter sauce and garnish with basil leaves. 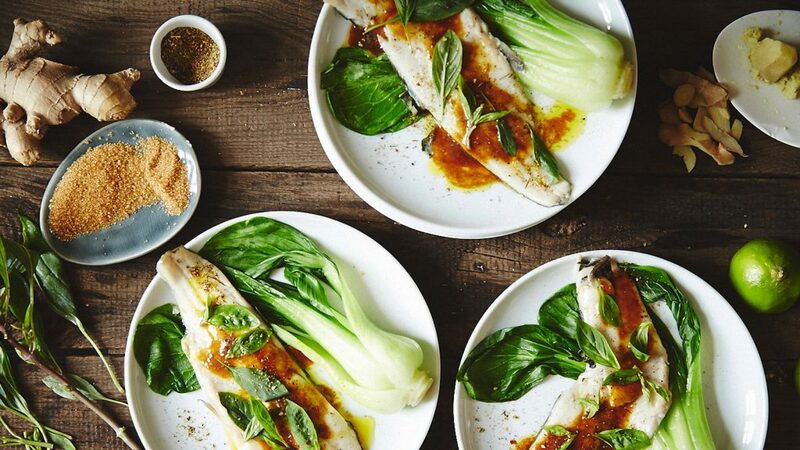 Season with fish spice salt (or herbal salt) and serve immediately. Kaffir lime leaves are sold fresh, frozen, or dried at Thai or Vietnamese food stores (sometimes also Chinese food stores carry them). Fresh or frozen leaves are the more flavourful choice and since they freeze well, one package will easily last you for a year or longer.